When do words need te be heard and when are those words polluting our minds? When do we lie and when are we truly honest: when we speak, react and discuss or does it happen when we are silent, listen and contemplate? 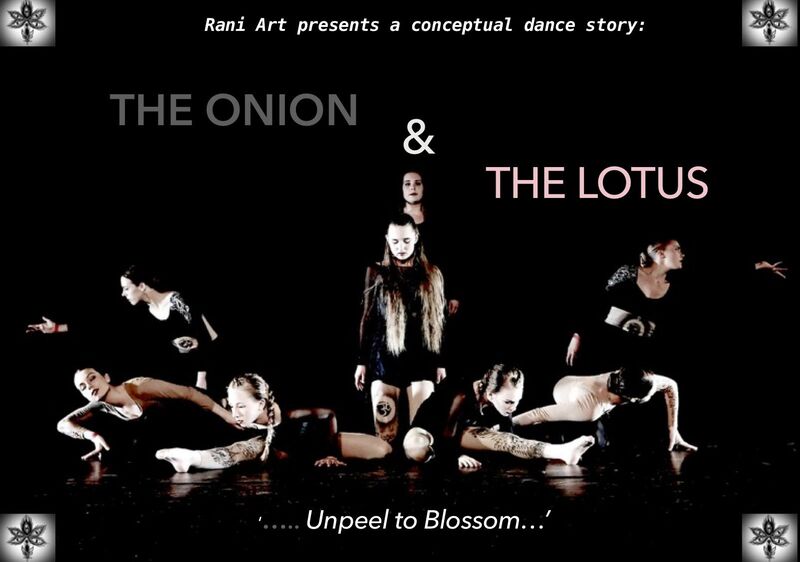 The duality of speech and silence are the subjects and main inspiration of the new performance of Rani Art’s total theatre piece ‘Sounding Silence’. This evening filling program contains a string of short performing art acts by various performing artists that all stand alone but are connected by the dualities and controversies we either talk about to much or raise the questions and subjects we talk about too little. The range of diverse artists try to connect with the audience in having an open, verbal and also silent discussion through dance, song, poetry, sound engineering , visual arts and fashion. The performance is mainly based on tickling the inner dialogue and voice (intuition) that will may or not lead us to new insights, but boldly tries to evoke either a discussion or a cal to really listening. 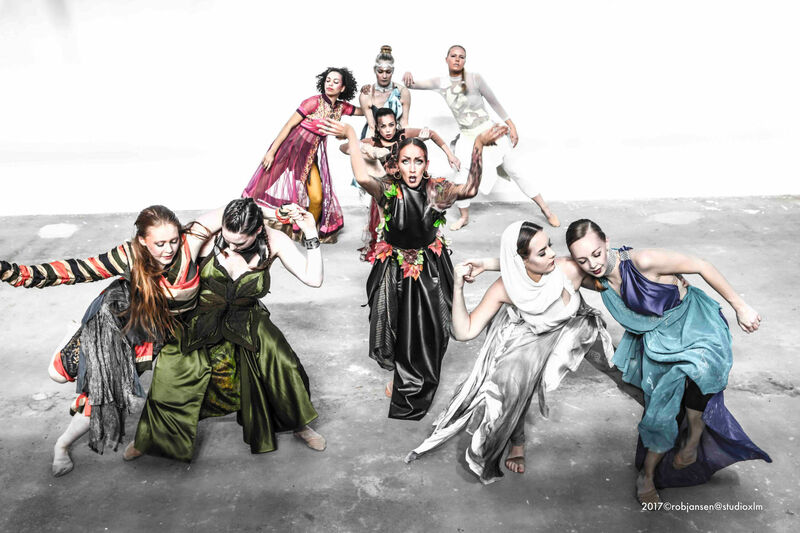 Rani Art and the dancers of Balletschool Marut Jorquera present the conceptual dance piece titled 'Nature Speaks' inspired by and dedicated to Mother Nature and her natural resources. The piece is based on the worldwide campagne from the Conservation International organisation titled 'Nature is Speaking' featuring voice overs from famous Hollywood stars such as Julia Roberts, Kevin Spacey and Penelope Cruz to name a few. The two pieces 'Womanity' and 'Nature Speaks' were especially merged and combined as request performance for the annual gala of the art foundation 'Kunst in de Kamer' . 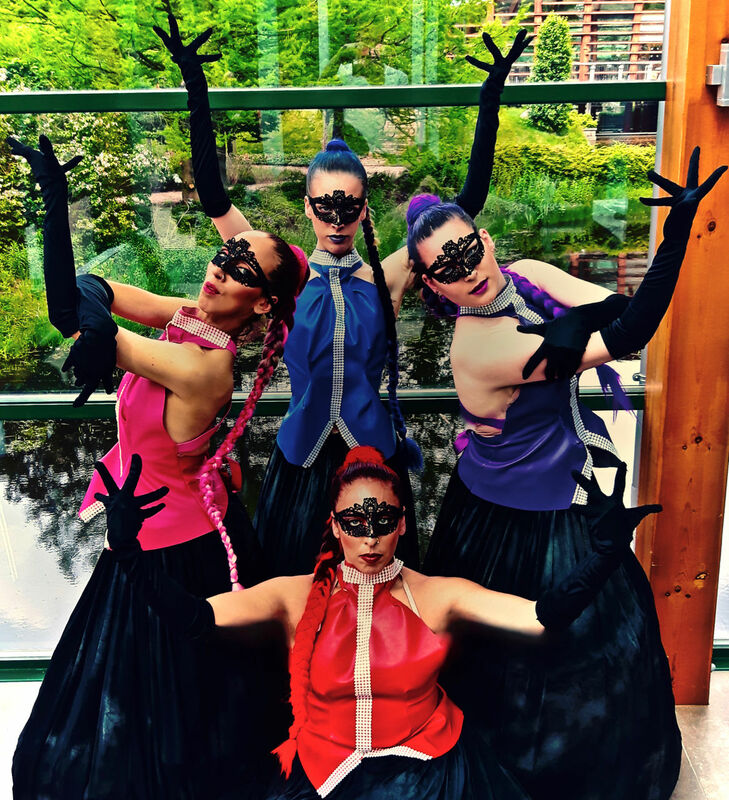 For this special performance Rani Art chose to work on a special location 'De Wintertuin'; a monumental space in Baarn that functioned for almost 100 years as a green - and glass house for tropical plants and trees surrounded by an enormous parc that contains diverse tree, flower and plant breeds . In this setting the two pieces were connected by the space and an act with two dancers as 'butterflies'and a dance solo by guest artist Jeffrey Stuut, who portrayed the 'Tree of Life' connected the two pieces. 'Womanity', showed us the modern-day supression of human origins and asks us to listen to our feminine intuition. The second part, 'Nature Speaks', concerns the supression of our earth and confronts us with the neglect that our natural sources suffer from by giving them a voice. The female race play a central role in both parts. 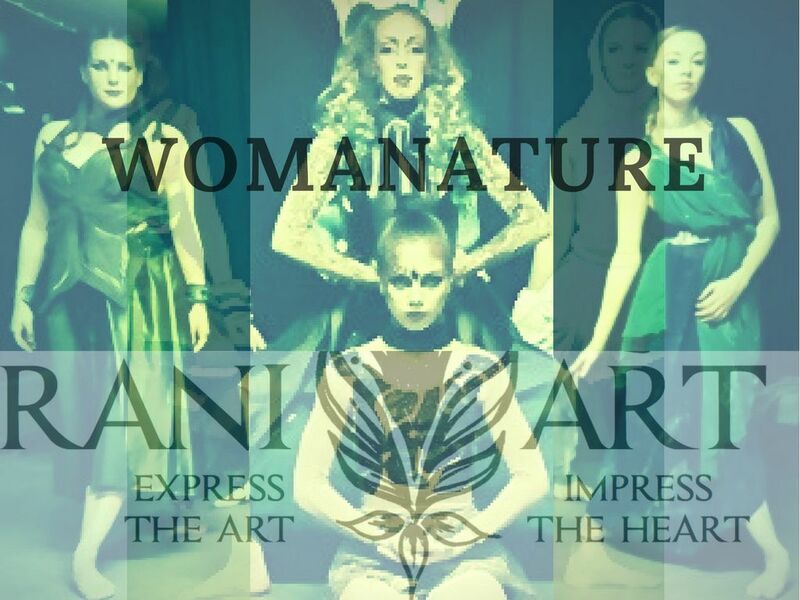 as 'Womanity' tells the story of contemporary women who struggle with expressing themselves and are desperately searching for their true nature, while 'Nature Speaks' gives a voice to Mother Earth. 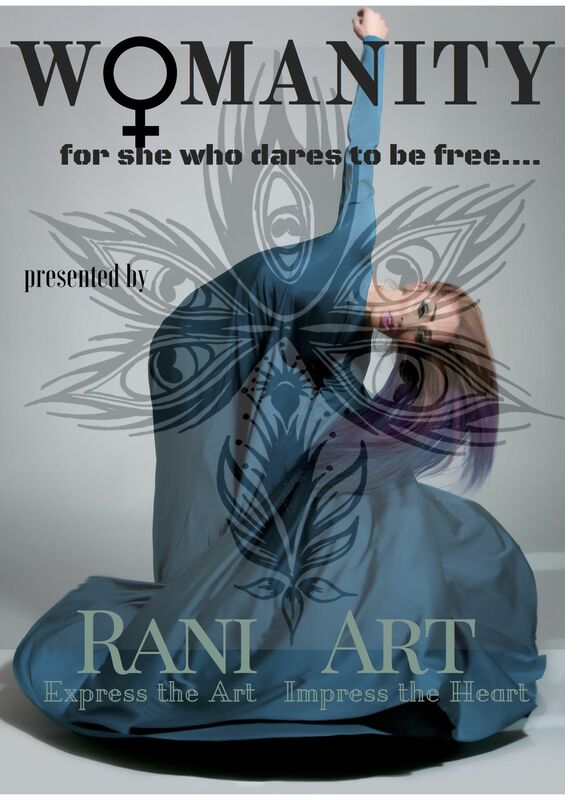 Rani Art speaks up for the drive to be heard and acknowledged, and sends out a clear message from what has been surrendered to abuse, exhaustion, neglect and undervaluation for centuries. 'Womanity' is a modern/jazz dance piece dedicated to womanhood .It was created with the intention to draw attention to the humanity and humility that womanhood seems to lack in modern times and highlights the immemorial issue of opression, abuse and discrimintaion. This all leading to the urge for being answered and heard for the longtime battle she fought to feel acknowledged, appreciated, loved and free. Focusing on the psychological and mental growth from child to adult. 'Womanity' was inspired by the shield model theory 'The Inner Family' developed by psychologist Arienne Klijn. The 3 female dancers in the piece symbollically portray the three modes of material nature based on the Bhagavad Gita: Goodness, Passion and Ignorance. They also represent the three morst important strengths of the female form: Fertiliy, Flexibility and Beauty. Flamenco guitarist, Tijn van der Sanden, contributes to 'Womanity' with a live act during the piece and stands for the male energy that keeps the female energy in balance (yin and yang). What is the essence of life? The development of consciousness, the physical and psychological mechanism accompanied by the downfall and the flourishing of the (eternal) soul, (deciduous) body and (curious) mind, is what this modern/jazz narrative piece is all about. Examined and experienced in a personal way by choreographer and dancers. 'The Lotus' stands for the flourishment of our inner self and is depended on the act of our soul . Love, beauty and prosperity are seeked to be achieved in an utopian way where the desire to be happy taps into our spiritual exsistence.